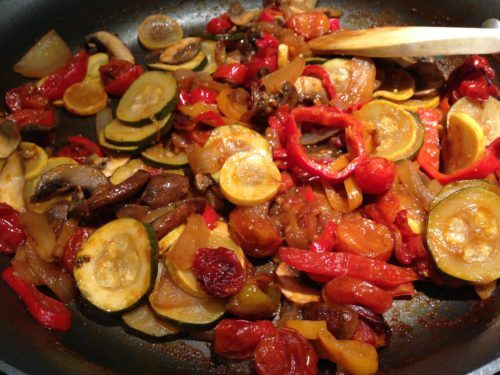 Smoky Vegetable Ragout. Plant-based meals can be really tasty. My fresh vegetable purchases are becoming more frequent as I move to a more plant-based diet. 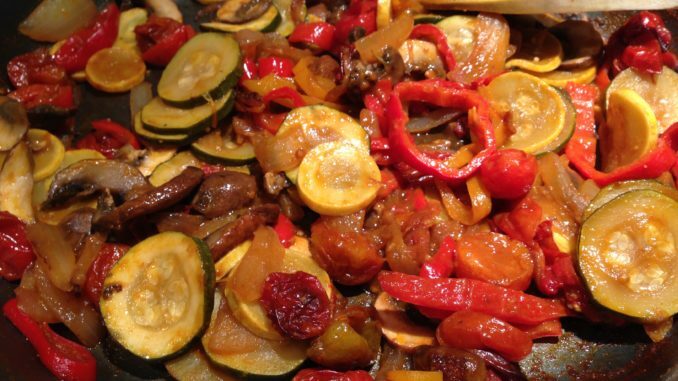 My smoky vegetable ragout takes advantage of whatever vegetables are in season. Smoked paprika spice adds a bit of smokiness and a nice kick to this dish. So what is a “ragout”? Wikipedia defines it as a stew with meat, vegetables, and spices. Other definitions offer “a slowly cooked meat stew, with or without vegetables.” My Smoky Vegetable Ragout is a slowly cooked vegetable stew with a smoky flavor. 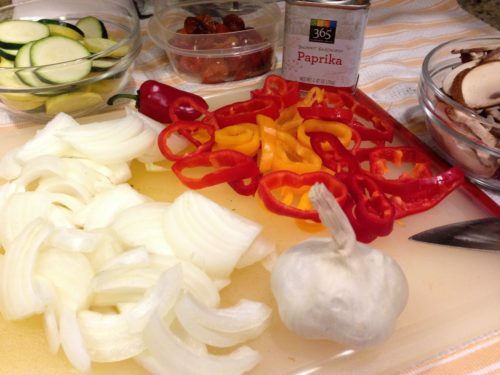 Paprika is a sweet hot spice that is produced in several areas of the world. 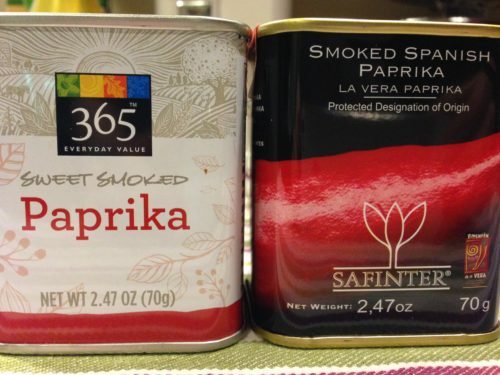 Spain is known for its smoked paprika spice. Summer is a great time to buy local vegetables from your neighboring farmers’ markets. Spend a Saturday morning or afternoon browsing produce and other items and support your local farmers at the farmers’ markets in your area. And with the vast availablity of produce from other countries, you can usually find most vegetables year-round in grocery stores. 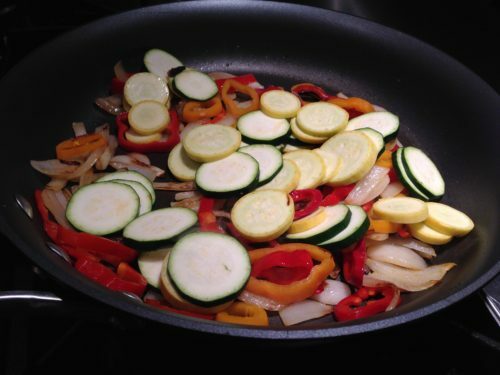 Slice up some veggies to start my smoky vegetable ragout. 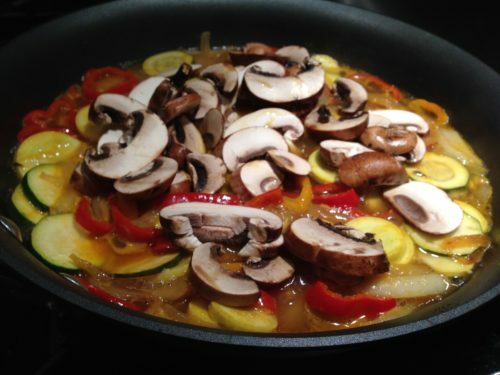 In this version, I used sweet onion, red bell pepper, zucchini, yellow squash, cremini mushrooms and garlic. Later, I add roasted grape tomatoes. You could also add canned or fresh diced tomatoes and some spinach or arugula leaves. I like to use olive oil or vegetable broth in this dish. Trader Joe’s has a nice “President’s Reserve” olive oil that tastes pretty good and is nicely priced. And I’m a big fan of Pacific’s organic vegetable broth when I don’t make my own broth. 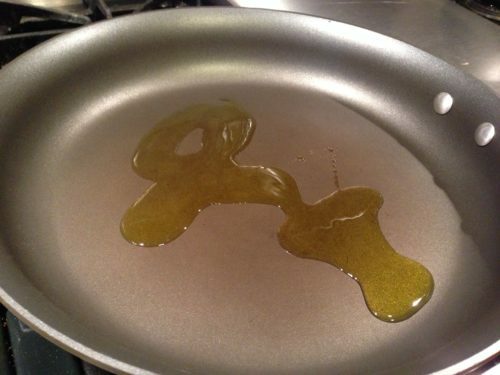 Start by warming some olive oil or vegetable broth in a pan. Saute some onion and red bell pepper until slightly caramelized then add some minced garlic. 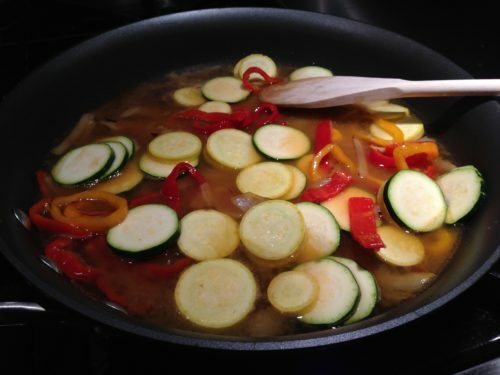 Add vegetable stock and simmer until the zucchini and squash have softened slightly. Add the mushrooms and simmer a bit more. When the mushrooms have softened, add the tomatoes and smoked paprika. Simmer the vegetables until the liquid has mostly evaporated. At this point you could stir in some spinach or arugula until they have wilted slightly. The finished smoky vegetable ragout is ready to serve! 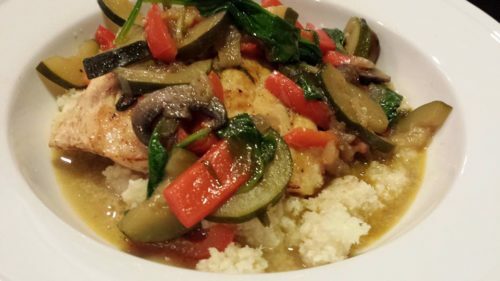 Serve my Smoky Vegetable Ragout over rice with grilled fish. 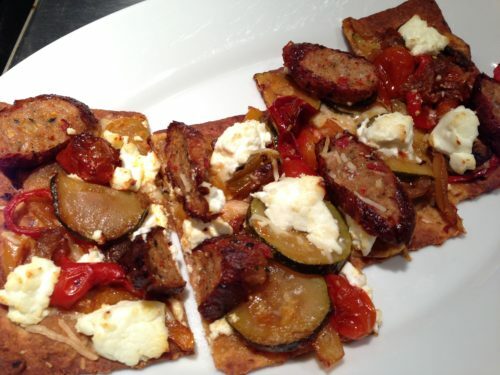 Or make a flatbread with my smoky vegetable ragout, sausage, and dabs of goat cheese. Additionally, you could use my Smoky Vegetable Ragout as a filling in a vegetable lasagna or garden vegetable quesadilla. Be sure to use whatever vegetables are in season or available in your area. 1. 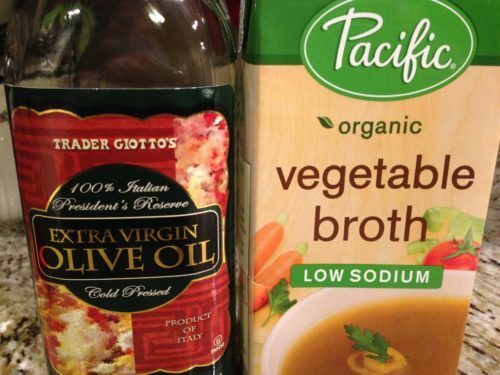 Warm the olive oil or vegetable broth over medium low heat in a skillet. 2. 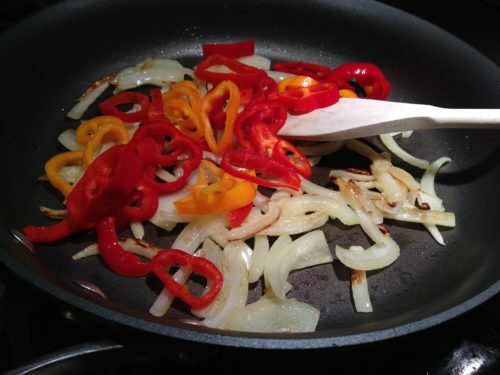 Add the onion and red bell pepper and saute until they start to caramelize. 3. Add the garlic and cook a few more minutes. 4. 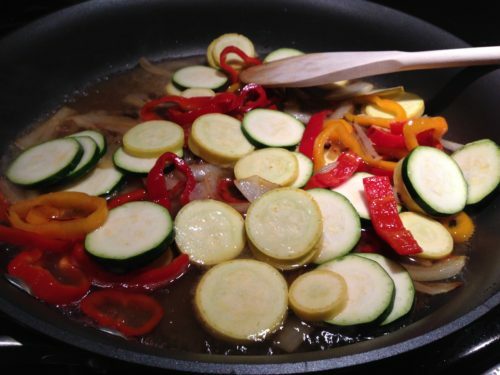 Add the zucchini and squash and then deglaze the pan with some white wine. 5. 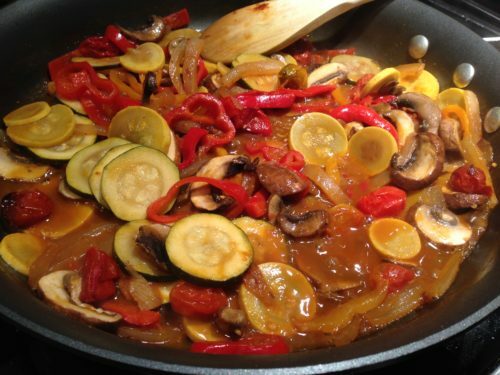 Add the vegetable stock and let simmer until the zucchini and squash have softened slightly. 6. Add the mushrooms and simmer until the mushrooms have softened. 7. Stir in the tomatoes and the smoked paprika. 8. Simmer until the liquid has evaporated, about 10 minutes. At this point you can add the optional spinach or arugula and stir until the leaves have wilted. 9. Season to taste with salt and pepper and serve! 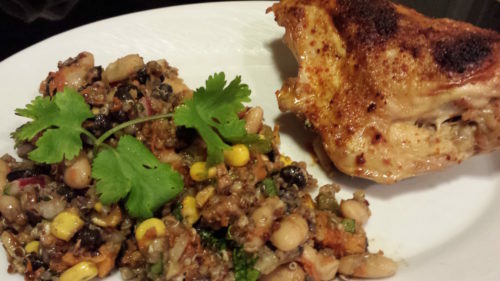 Serves 2 as a side dish to a grilled chicken breast or a steak. Offer with my Simple Cucumber Salad and a crispy baguette. Variations: You can add whatever vegetables that you like. Kale, collard greens, potatoes, cucumbers, carrots, corn, okra, broccoli, cauliflower, and cabbage are other options. 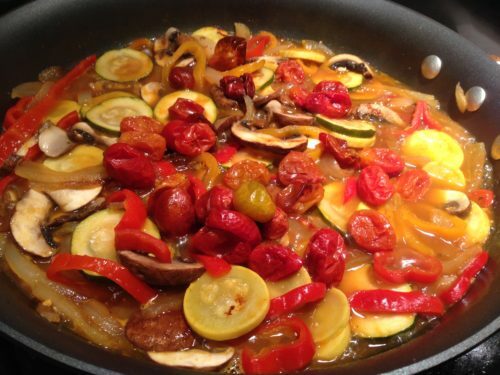 My smoky vegetable ragout can be added to cooked pastas, rice, or grains. Use it on pizzas, in sandwich wraps, or as a topping for toasted baguette slices. The possibilities are endless.